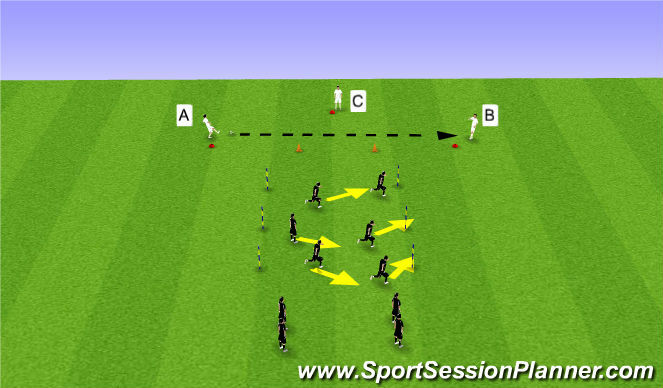 Team in possession look to connect 4 passes before they can transfer ball across to other side on ground. Central team send out 2 players to win ball back, 3 remaining players screen the central area and look to intercept passes. 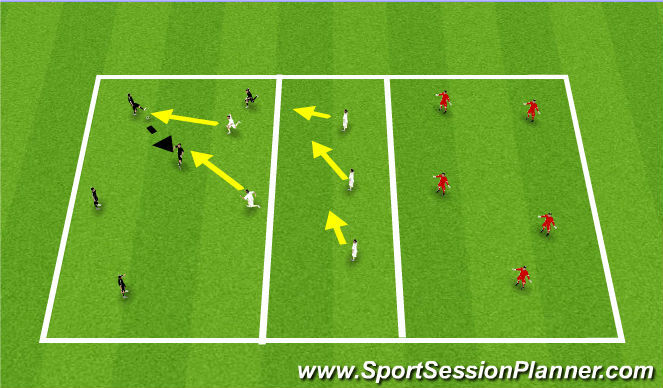 Play 90 sec then rotate defending team. Prog: on interception teams flip roles, defenders bring ball in, and attackers must get into central zone before applying pressure. Make sure team is compact when ball is in left zone or right zone. 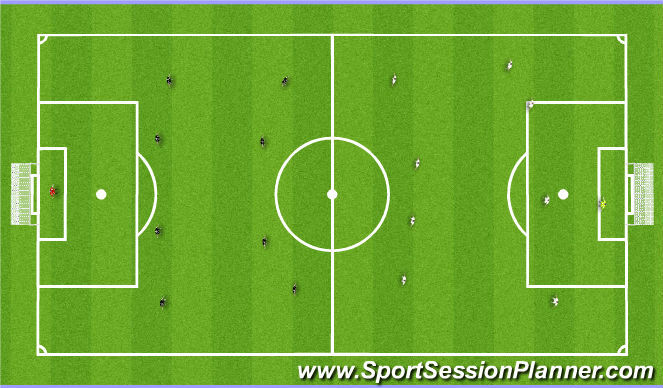 Condition each player must take two touches.